Have you or a loved one suffered personal injuries in the Cape Coral area? If so, it is critical that you consult the best Cape Coral personal injury lawyer you can possibly call as quickly as possible. You may be entitled to compensation for your injuries and damages, but time limits do apply. That is where the Wolfson Law Firm can help. If you have been injured in any type of accident in the Cape Coral area, please make certain to call our Cape Coral personal injury lawyers for help. For free consultations, call the Wolfson Law Firm at (239) 777-9954 and tell us about your case. With more than 75 years of collective experience in personal injury cases, our attorneys understand what to do to help. We will discuss your case and present you with your legal options. After that, you get to decide what to do next. You may be entitled to recover financial compensation, including medical expenses, medication costs, loss of wages, loss of financial support, scarring and disfigurement, pain and suffering, and other items of damages depending on the facts of your case. If you decide to choose our Cape Coral accident lawyers to represent you, know that we handle cases on a a contingency basis. This means that you do not anything unless we recover damages for you. You can call and consult with us for free at any time at (239) 777-9954. Cape Coral’s population is 179,804. Its population mix consists of 73.4% white, 19.9% Hispanic or Latino, 3.8% African American, with the remaining 2.8% consisting of other minorities. Cape Coral has a large German and Irish influence. Cape Coral attracts both families and retirees with 34.7% of the population was 55 years or older, 20.5% of the population was under the age of 18, with the remaining 45.8% spanning between the ages of 18 and 54. Of those over the age of 17, 90.4% of the population had completed high school, 22.1% of that population had completed college and 3.8% are currently attending college. Approximately 14.77% of the population over 25 completed a bachelor’s degree and 7.33% of the population over 25 completed a Graduate Degree. 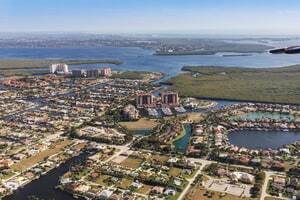 Of the total residents in Cape Coral, 14.6% were born outside of the United States. English is the primary language spoken at home at 80.2%, with Spanish following at 15.2%, with the remaining 5.6% of households speaking German, French, or other languages. The breakdown of the households in Cape Coral reflects that 55% are married and 45% are either single, divorced, or widowed. The average family size is 3.24 and the average household size is 2.8. In the households that are married, 77.5% own their home and 22.5% rent. For households that are single, divorced, or widowed, 44% typically own their home and 56% rent. This own versus rent scenario for single, divorced, or widowed households does not appear to be influenced by whether the head of the household was male or female; both had similar home ownership percentages of approximately 44% and rental percentages of 56%. As of the 2010, there were 45,653 housing units in Cape Coral, of which 40,768 are occupied and 4,885 are either vacant or are used seasonally. Of the 40,768 occupied housing units, 32,603 are owner-occupied and 8,165 are renter-occupied. In 2010, the homeowner vacancy rate is 1.8 and the rental vacancy rate is 7.9. In general, the per capita and median income levels in Cape Coral are slightly lower than the national average. Per capita income average is $25,145, as compared with the national average of $29,829. Median household income is $52,000, slightly less than the national average of $55,322. Employment in Cape Coral is a mixture of white-collar and blue-collar jobs, primarily centered in retail, healthcare, and accommodations, with all three industries representing approximately 39.6% of employment. Construction, administration, and education jobs represent 21.3% of employment, with the remaining 39.1% scattered across multiple industries. In Cape Coral, males earn an average of $35,221 and females earn an average of $27,516. Cape Coral has 13.1% of its population living below the poverty level. As a percentage of their total population in Cape Coral, Native Americans have the highest poverty rate with 254 out of 616 in poverty, or 41.23%. Conversely, the race that is the least likely to be in poverty is white, with a poverty rate of 10.37%. Cape Coral also boasts an extensive public transportation system, with many of the population using buses or other means of public transportation to go to work or to travel around town. At the Wolfson Law Firm, our personal injury lawyers are here to help the injury victims of Cape Coral. Since 1963, our Fort Myers accident attorneys have fought for personal injury clients throughout Florida. If you were involved in any kind of accident in Cape Coral, Fort Myers, Lehigh Acres, or Naples then we invite you to call our Fort Myers injury attorneys at (239) 777-9954 for your free consultation. If you chose us to represent you, understand that we never charge a fee unless we recover damages for you.